The Pacific College acupuncture program in San Diego offers an unparalleled educational experience to students seeking to join the holistic healthcare movement. Alternative care is continuing to grow in popularity, and healthcare organizations are actively searching for talented holistic health professionals. The Pacific College in San Diego prepares students for lifelong careers in the acupuncture field, and our diverse faculty consists of practicing acupuncturists, experienced industry professionals, herbalists, homeopaths, and Taoist practitioners. Classes cover the subjects of physiology, pharmacology, nutrition, pathophysiology, Chinese herbs, tui na, traditional Chinese medical theory and techniques, as well as anatomy and acupuncture points and meridians. Upon graduation from the Pacific College acupuncture and Chinese medicine school in San Diego, graduates will possess a unique competitive edge over other acupuncturists—a practical and applicable understanding of holistic healing combined with cutting-edge biomedicine. This entry-level doctorate in Chinese medicine trains practitioners to function as primary, independent healthcare providers and most importantly, to become integral to the modern healthcare system. The program makes students eligible for the California state licensure exams as well as the national certification examinations. This program makes students eligible for the California state licensure exams as well as the national certification examinations, which enable students to become licensed in the remaining states that regulate acupuncture colleges and Oriental medicine schools. Pacific College of Oriental Medicine has designed this pathway for acupuncturists who already have their master’s (or equivalent) to continue their work and receive their doctorate. Take The Career Readiness Quiz! The World Health Organization cites acupuncture as an effective treatment for over 43 different disorders, illnesses, and conditions that include back pain, headaches, insomnia, sciatica, sports injuries, heart problems, depression, and stress. The medical community also openly advocates for acupuncture; in fact, the American College of Physicians recently issued new guidelines that recommend acupuncture over opioids for treating pain. And in 2011, CNS Neuroscience and Therapeutics published a review that shows acupuncture as being a comparable alternative to cognitive-behavioral therapy in treating anxiety. 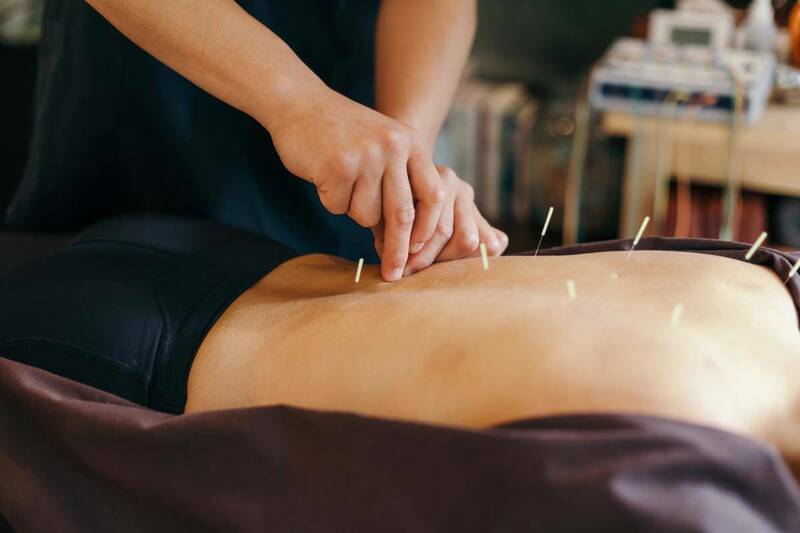 With an estimated 20 percent of the U.S. population suffering from lower back pain, acupuncture is gaining wider appeal among healthcare professionals as an alternative method of effective treatment. As the healthcare industry begins to fully embrace acupuncture, the demand for trained acupuncturists with a background in biomedicine and holistic healing is expected to grow steadily. The Pacific College in San Diego offers a curriculum grounded in Eastern holistic healing practices and Western biomedical science, makes invaluable contributions to the field of holistic care, and prepares students for lifelong careers in acupuncture. At the Pacific College acupuncture school in San Diego, students turn their passion for natural healing into a career of providing alternative care to change lives for the better. Health-conscious individuals who are eager to learn the art of holistic healing and master the latest techniques in biomedical science-based care will find that the Pacific College in San Diego can help them to accomplish their career goals. 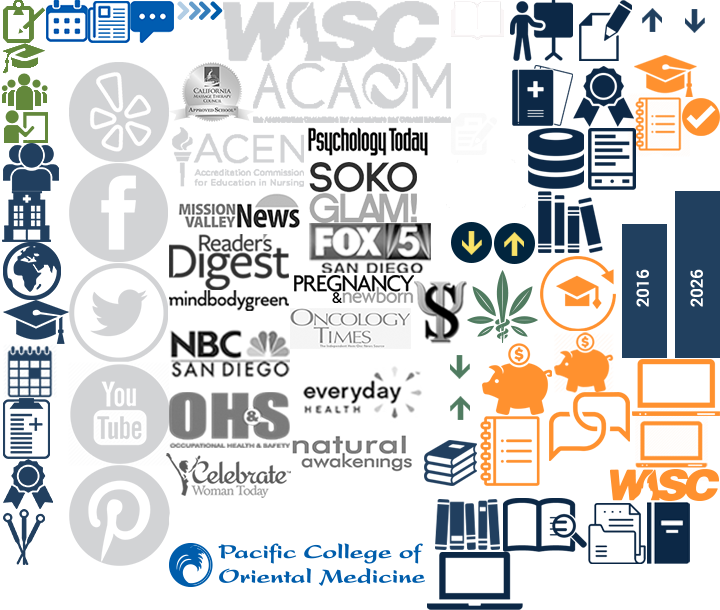 The acupuncture school in San Diego encourages both aspiring and current healthcare practitioners to learn a variety of alternative medicine theories and biomedicine techniques. The program was designed for those seeking to deepen their understanding of the role of alternative medicine in the modern healthcare system and for those interested in exploring the practical applications of holistic healing. Our program challenges students to develop personally and professionally to become leaders within the community of acupuncturists. As the field of acupuncture progresses in conjunction with the developments in modern biomedical science, acupuncturists will be at the forefront of educating the medical community as well as their clients in the value of integrated care. In January 2014, the National Certification Commission for Acupuncture and Oriental Medicine reported that there were approximately 30,000 licensed acupuncturists actively working. Acupuncturists can find employment at physical therapy and chiropractor offices, educational institutions, spas, clinics, hospitals, and national and state agencies. Additionally, new recommendations that state that acupuncture is an effective alternative to treating pain will only drive up the demand for acupuncturists.